DirectVapor has the best chocolate vape juice in town! Thanks to our high standards for quality, only the finest and most delicious chocolate e-liquids find a home in our collection. Found in a variety of candy and coffee vapes chocolate is quite versatile. It can also be paired with tobaccos, nuts, a selection of fruits, and of course…dessert. With free shipping on every order and a low-price guarantee that won’t be beat, DirectVapor is the preferred source for your all favorite chocolate treats! Just like a box of chocolates, you shouldn’t have to choose just one! From S’mores to shakes, you’ll find some delicious sugar-free temptations that are sure to satisfy your chocolate urges. Why worry about calories or caffeine when you can sip the day away on your favorite chocolate coffee vape? Enjoying a bowl of double-stuffed chocolate cream cookies has never been so guilt-free! With the lowest prices around, it’s easier than ever to find a wide variety of new flavors to explore! Early-morning mocha lovers will love Raspberry Mocha from Vaporfi. With raspberry notes that perfectly outline the robust chocolate mocha flavor, this outstanding chocolate vape juice is a delicious recreation that will soon have you back for more! For those that love the taste of tobacco and chocolate, Chocolate Tobacco by Element is well-defined and masterfully blended by experienced mixers. Heavy on the tobacco with nearly perfect accents of chocolate, Element has rolled a winner on this one. If dessert is your game, King’s Crest from the Don Juan Reserve line is a premium juice in the truest sense. Pecans, caramel, chocolate, cream, and graham cracker come together to provide an exquisite chocolate e-juice. Vaping the same thing every day can get boring. Often, we grow out of one flavor profile and into another as we mature in our vaping careers. Exploring new flavors is a great way to keep your experience exciting and new while adding a bit of diversity to your collection. You may find you enjoy the taste of something in vape form that you don’t care for in food form as well. You may not like a slice of chocolate pecan pie, but chances are good there’s a chocolate pecan vape juice you’ll love. Trying new flavors can be as simple as adding a handful of new juices to your normal order. It can also be as fun as an all-out shopping extravaganza with a cart-full of new juices to try! Many vapers in search of a new ADV (all-day vape) will randomly choose a small variety of juice that’s just outside their comfort zone. Sampling new flavors and passing on the ones you don’t care for can be an excellent way to meet new vapers too! Mixing flavors is another great way to enhance your experience while adding diversity to your flavor selection. Some combinations, like lemon and lime or peanut butter and grape, naturally blend well together. The flavor is familiar to you, and you have a general idea of what to expect. However, new and exciting tastes and mixtures await those brave enough to venture into the unknown! Your imagination is the only limit to what you can create. If you’re looking for the best, look no further. Customer satisfaction is our number one priority here at DirectVapor. 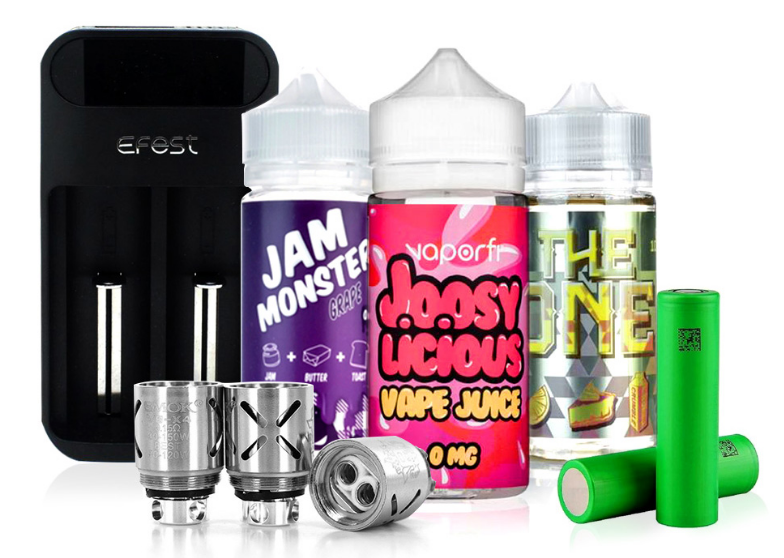 We offer free shipping on every order no matter how big or small, and our low-price guarantee ensures you get the best deal on vape juice possible. Remembering to order can be a hassle. Thanks to our auto-ship option you can leave the worry to us and save even more on your favorite e-liquids and supplies. 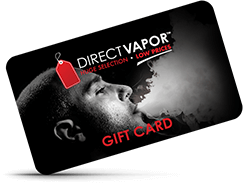 The most-trusted name in the business for a reason, DirectVapor is here for all of your vaping needs!